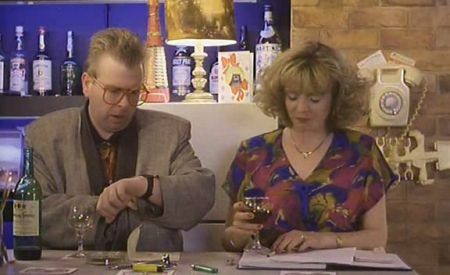 Timothy Spall and Alison Steadman in Life Is Sweet. Written and directed by Mike Leigh (Another Year), 1990’s moving comedy-drama film Life Is Sweet is an intimate but invigorating portrait of a working-class family in England. The family lives in a suburb just north of London and consists of an irrepressible mum and dad (Alison Steadman and The Iron Lady‘s Jim Broadbent) and their night-and-day twins, a bookish good girl and a sneering layabout (Claire Skinner and Jane Horrocks). In the movie, Leigh and his cast create, with extra­ordinary sensitivity and craft, a vivid, lived-in story of ordinary existence, in which even modest dreams (such as the father’s desire to open a food truck) carry enormous weight. Perched on the line between humor and melancholy, Life Is Sweet is captivating, and it was British theater director and filmmaker Leigh’s first international sensation.